Our man and van rubbish removal service is our most popular service - in fact we complete more clearances in-house than anyone else, so you're in good hands. Unlike our other products, man and van clearances are completely flexible, so it's entirely up to you on the day what we remove. To get your junk cleared all you need to do is book an attendance, which can be done online or on the phone. 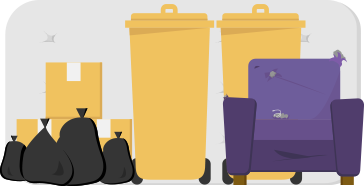 We do all sorts of waste sizes and loads, take a look at our full pricing page for more information. 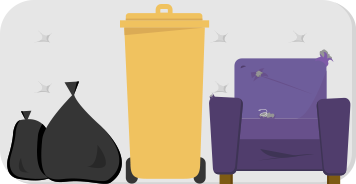 If you're ready to book your sofa removal add the items to the basket below. When booking you can select an AM or PM time slot or upgrade to a 1 hour time slot. How is the sofa cost broken down? Your order + £49.99 call out charge per collection. A 2 seater sofa or settee. Does not include sofa beds or electronic recliners. A 3 seater sofa or settee. Includes 2 seater sofa beds and recliners. A 4 seater sofa or corner sofa. Why use Man & Van? 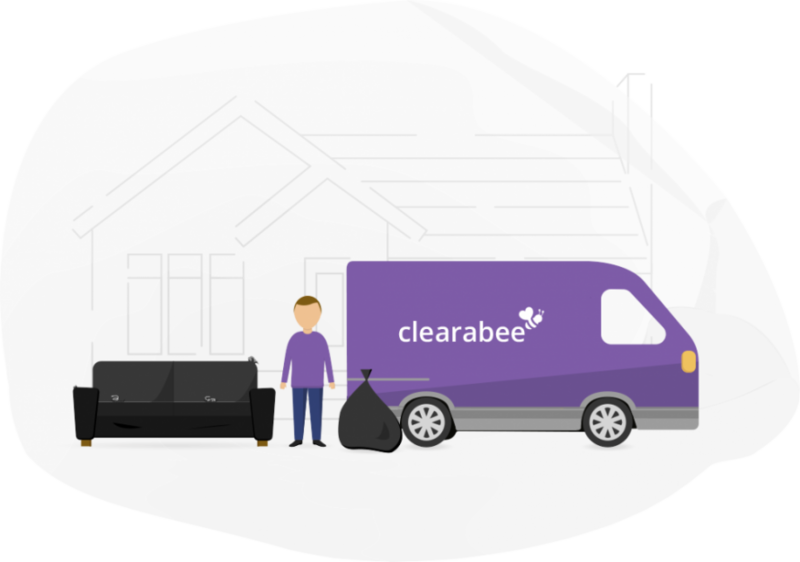 Our man and van rubbish clearances are quick and easy - we do all the work for you and can remove as much, or as little, as you like. We'll usually have it gone on the very same day too! Three sizes, fixed price, use when you want, free next day postage and collection within 24 hours of your request - why not find out a little more? Our range of skip bags are great if you want to contain your waste. You've also got price certainty - if it fits in the bag, it's included. Our bags can be placed anywhere too!